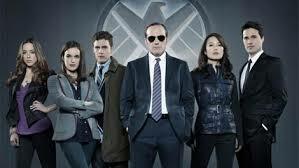 Without a doubt, ABC’s Agents of SHIELD is one of the mostly hotly anticipated shows coming out this season, and with good reason. Marvel is just about the biggest name in entertainment these days, and the promise of a weekly visit to the Marvel cinematic world (as distinct from Earth 616 of the comics, because they’re, you know, different… <<adjusts glasses nerdishly>>) has so much potential for awesome that the core concept basically breaks most scales of potential awesomeness. That said, we’re now three episodes into season 1, which is enough to start evaluating how the show is living up to all that potential. Peek below the fold for one viewer’s opinion. First, I want to clarify what “spoiler free” means. It means that I will not make specific reference to—or describe with specificity—any specific scene… specifically. If you interpret a statement like, “besides Coulson, characters from the movies make cameo appearances in the first two episodes,” as a spoiler, then 1) sorry for that, and 2) you are wrong. You’ve been warned. The only difference is that Fringe and the X-Files weren’t preceded by 6 mega-blockbuster movies. So far, besides a handful of references to the films (mostly tossed off one-liners with little substance) and the Marvel title card at the beginning of each episode, there has been very little to connect me to the Marvel movie setting. We could be in any blandly generic setting, filled with blandly pretty, boringly hyper-competent superspies (who are pretty bland as a profession worth making shows about goes at this point, though not as bland as district attorneys…), saving the world from one rehashed menace at a time… Whee! That brings us to the team: basically, it’s the Scoobie gang (original, not Buffy version) flying around the world in a $100 million Mystery Machine, “learning to work together.” Quite predictably, these highly trained, highly competent experts are skilled at everything but teamwork. This show is basically hitting all the notes. The badass lone wolf forced into the team “because we need the best” (who isn’t even the biggest badass on the plane, incidentally), the quirky nerdlinger scientists so interchangeable that if you say their last names together, they sound like just one name (Fitz + Simmons = Fitzsimmons, played for ‘comedy’), the Asian dragon lady who is on track to become the team’s very own tiger mom (she flies the plane, so I think we’re just an episode or two away from an, “I will TURN this superjet around!” joke)… You’ve met these characters before. But really, all of those spies and scientists are background for the two characters we’re supposed to really get behind. Coulson and Summer Glau’s Life Model Decoy Skye. Coulson, Son of Coul, is baaaaasically walking fan service. All references to cellists in Portland aside, Coulson (who I confess to loving) is basically a quip factory cipher with no real life to speak of. That’s all the character has ever been (and bless him for it), but the writers have a lot of work ahead of them to make Coulson more than that if he’s going to be central to the show (not to mention make his immaculate recovery from apparent death both meaningful and compelling). That said, I feel confident that show has got Coulson well in hand—frankly, they’ve got to, given his relationship to the films and the fandom. No, the real problem is Skye. Skye is the character that we, the viewers, are supposed to empathize with. She’s a super hacker, but her techno acumen “comes naturally” so she can still make fun of the nerds, still play dumb so she can ask the questions the audience needs answered about whatever gobbledygook is going on, and still have, you know, some reason to belong on the team. She’s passionate about… stuff (and things)… but distant enough so that she can be as confused as we are and not feel dumb (so we don’t either). Also, her “subplot” is also the only real source of drama on the show besides the “what happened to Coulson” question. This all gives me the sads. I mean, why can’t Skye’s mad hacker skills have been the result of, I don’t know, an education? Or even just study and practice? I suppose caring enough to become good at something would just maker her another alienable nerd… Really, it’s a sad commentary on “we the audience” that we seem to love shows full of people who know what they’re doing, but that we need a Fool to translate it for us (or, more aptly, the networks think we do). By late Season 1/early Season 2, we’ll be treated to scenes in which Skye rushes to blurt out an obvious fact tagged, perhaps loosely based on something from a previous episode/movie, with a “see, I’m learning” quip, to which Coulson or one of the team’s other hard cases will reply with an observation that the real nerds will be out of a job before long, which will be answered by a self-deprecating bit of droll from Fitzsimmons… This will continue to happen every other episode until the show ends. Golly, I can’t wait. Fundamentally, the show is hampered by its inability to forge a mythos for itself. It’s both buoyed by its connection to the films (that which makes it relevant), and basically cut off at the knees by them (because they makez the real moneyz). Any world building that happens on the small screen won’t translate to the big screen, and any consequences of the films that impact the world must be reflected on the show. Therefore, I contend that the show will always feel disconnected, or half-baked, unless the writers really up their game. There is also the issue of scale, that is tied to the mythos the show is yoked with. The tagline of the show is, “not all heroes are super,” and that’s great! I love the fact that we’re exploring the consequences of superhumans at a mundane level (if flying around in the super skyfortress qualifies as “the mundane level”), but give the characters challenges that are appropriate to their power level, and not just diluted versions of what the Avengers have tackled in their various movies. Okay, spoiler for the pilot episode follows. I’m gonna hit enter a few times above and below the spoiler, so if you haven’t seen the pilot, roll over the next bit of text and pick it up on the other side. Now, don’t get me wrong: I don’t hate SHIELD, and I certainly haven’t give up on it. If being a sci-fi fan has taught me anything, it’s that patience and faithfulness are virtues. ABC must be taking that to heart as well, as they’ve apparently bought nine more episodes for a total of 22 for the season, so there is lots of room for the show to turn it around, and presumably time or at least two decent plot arcs, so we’ll have to see. My current plan is to revisit SHIELD here on the blog every three or four weeks or so and see how things are shaping up. In the meantime, share your thoughts in the comments! I like the show, and the characters seem decent, with potential. It’s nothing spectacular at this point, but as you point out, neither are a lot of shows in their first season. I quit watching Supernatural part way through the first season, then picked it up years later and couldn’t believe how much it improved just in that season alone. Buffy’s second season was, in my opinion, the high point of the whole show. So I’m cautiously hopeful. I will disagree with you on one point, though. “ABC must be taking [patience and faithfulness] to heart as well, as they’ve apparently bought nine more episodes for a total of 22 for the season.” No. ABC are taking good ratings to heart. They’d give a back 9 to chimps throwing feces at one another if it scored big with the 18-34 demographic. There’s a lot I could say about Agents of Shield, but I think this sums it up so far: Yawn. Being boring is probably the worst sin a TV show can commit. I am solely watching this for the (dwindling) goodwill I have for both the Avengers and Whedon. I get the impression that the feeling is very mutual. That isn’t to say that the show can’t still wow us yet. Fingers crossed.